Hilton Garden Inn Mountain View is a Four-story Hotel, situated in the heart of the Silicon Valley. The Hotel offers 1,800 square feet of space. 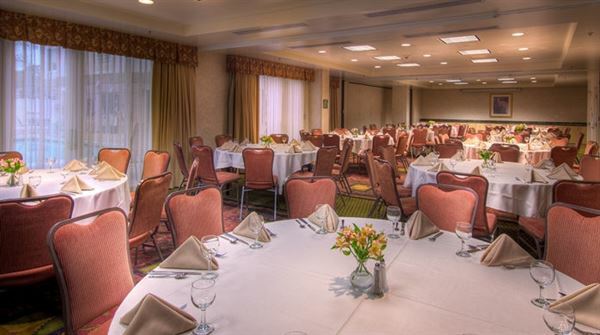 The Monterey Ballroom can accommodate up to 100 attendees comfortably. This space is ideal for intimate social gatherings and corporate conferences. Our professional team is ready to take care of all the details, including floor plans, catering menus, audio visual and more, ensuring that your event is a successful one!